When it comes to Cloud Risk Management, there are a lot of moving parts. From traditional outsourcing, to managed services, to cloud computing, it can get confusing trying to communicate these changes and risks to the Board. 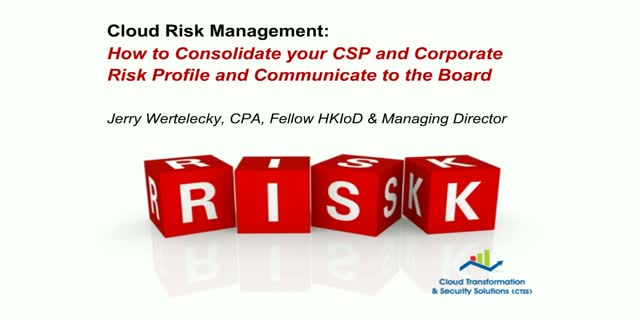 In this webinar, you will learn the difference between these key players, how IT security plays a role as cloud communication demands continue to increase, and how to build and consolidate your CSP and Corporate Risk Profile for your organization. This session covers everything from end-to-end encryption, storage, virtualization, and more! Join us to start putting together your action plan today.